SAVE $100.00 PER COUPLE ON SELECT HELICOPTER TOURS! 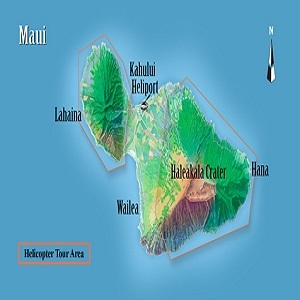 Take advantage of Maui Dive Shops special offer on select helicopter tours! 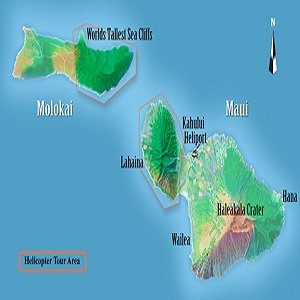 We will give you a $100.00 discount, per couple, ($50.00 per person) on select Helicopter tours. FX Star or Whisper Star - you compare, you choose. Since the late 1980s, the American Eurocopter "FX Star" has been the tour helicopter of choice for professional tour operations worldwide. In Hawaii it is the industry standard - favored by all the top helicopter tour companies for its open cabin design that affords a 180º sweeping view for each passenger. This feature has been further enhanced in the revolutionary new American Eurocopter "Whisper Star" - the first touring helicopter of the 21st Century. But that's just the beginning. Passenger comfort, interior space, and engineering have all been raised to state-of-the-art levels. ASTAR 350BA-FX - The "FX STAR"
EC 130 B4 - The "Whisper STAR"
The EC 130 B4 WhisperSTAR is the ultimate in sightseeing helicopters. More interior room, more visibility with added Plexiglas and elevated rear seats. Sunshine customizes the standard factory interior with business and first class seating to further enhance passenger comfort and visibility. Soar in the state-of-the-art WhisperSTAR and experience the superb quiet and ultra smooth most advanced technological sightseeing helicopter ever! WhisperSTAR Open Seating: Up to six-passengers, seat assignment determined by weight and balance. WhisperSTAR First Class Seating: The three front seat configuration is replaced with two front seats. Passengers enjoy “First Class” seating next to pilot, with extra arm and leg room. Maximum combined weight for two passengers: 490 lbs. Contact us directly for reservations or book online via the links above.